Dr. Couser’s goal is to provide you with the most advanced orthodontic treatment to create a beautiful and healthy smile to last your lifetime. Another goal is to treat the dynamic nature of the changing face over time, instead of the static view treated by traditional orthodontists. Using this approach he can predict future soft tissue changes and plan your treatment accordingly. Diagnostic records are taken at the initial examination, and are an invaluable part of the evaluation process. These digital x-rays and photographs are not only used in the evaluation process, but also serve to document time points in a patient’s growth and development. However, these records fall short in a full evaluation because they are viewed on a two-dimensional computer screen. Therefore, our emphasis is placed on the clinical exam, rather than just the diagnostic record evaluation. It is only during the clinical examination that we can observe how the smile animates the face. Care must be taken because treatment solutions may affect a desired attribute of the face or smile. Therefore, Dr. Couser strives to protect all of the positive attributes of your smile, eliminating the bad things and keeping the good. The face is commonly only viewed in three physical dimensions. However, a critical fourth dimension – time – is often overlooked. As a child becomes an adult and then a mature adult, many facial changes occur. The best treatment solution anticipates these types of changes. Dr. Couser’s focus of the final treatment plan goals revolve around the appearance and esthetics of the face and smile. This requires careful evaluation of the macro-, mini- and microesthetics of both. Orthodontic problems such as crowding of the teeth, too much space between the teeth, jaw growth problems, and protruding teeth are usually inherited or caused by injury to the mouth, early or late loss of baby teeth, or thumb-sucking habits. Dr Couser recommends that you bring your child in between the ages of seven and nine. Only a small minority have problems where early orthodontics will truly benefit. By bringing your child in at this age Dr Couser can help you prepare for future orthodontic treatment when they are between eleven and thirteen and have all or close to all of their adult teeth. 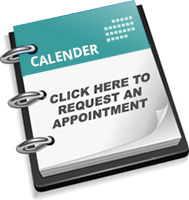 Please contact our practice and schedule an appointment. Our team will provide your child with an initial exam, and discuss with you the best steps to take toward caring for your child’s smile. Class I – A Class I bite is the desired bite where the jaws and teeth line up in a straight line. Class II – A Class II bite is familiar to most as an overbite in which the upper teeth extend out over the bottom teeth. Today, the majority of Class II bites are a result of underdevelopment of the lower jaw. Class III – A Class III bite, also known as an underbite, is treatable in some cases without extracting teeth. An underbite used to be seen as the overgrowth of the lower jaw. In today’s world, research shows that most underbites are due to insufficient growth of the upper jaw. Overjet is also known as protrusion. In this case, the lower teeth are too far behind the upper front teeth. This can be caused by an improper alignment of the molars(Class II Relationship), a skeletal imbalance of the upper and lower jaw; flared upper incisors, missing lower teeth or a combination of all the above. In addition, oral habits such as thumb sucking, finger sucking or tongue thrusting can exacerbate the condition.